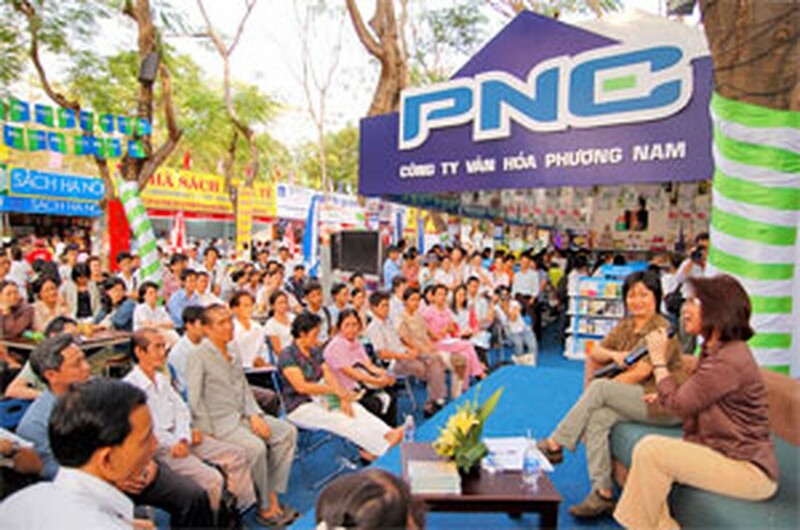 A series of activities were held on Tuesday to mark the opening of the fifth Ho Chi Minh City Book Fair in Le Van Tam Park, which will last until March 16. A talk themed “Orhan Pamuk, between East and West” attracted many translators, poets, writers and literary researchers to participate. The debate was based on a Nobel Prize-winning Turkish novelist and professor of comparative literature at Columbia University. The translation of a book from a different culture, unfamiliar to Vietnamese translators and Orphan Pamuk’s concepts on nationalism expressed in the book, were among the topics discussed. Another discussion about the burial place of King Quang Trung created a lively debate among book lovers. The Youth Publishing House held a press conference to introduce a series of books for children, including “Twilight” a vampire novel written by American author Stephenie Meyer. The book has shifted “Harry Potter 7” off the New York Times’ bestsellers list after 29 weeks. The Phuong Nam Corporation held a meeting between readers and Bach Tuyet, a meritorious artist of the cai luong (southern folk opera), to introduce two new books about Buddhism which she has transformed into cai luong epics. In the evening, the HCMC Book Distribution Corporation (FAHASA) hosted a ceremony to introduce “Wild, Wild East: Recipes and Stories from Vietnam”, the first cookery book written by the celebrated chef Bobby Chinn, the host of the Discovery Channel’s World Café Asia. Chinn also demonstrated his cooking with Vietnamese traditional dishes like cha gio (spring rolls), bum mam (vermicelli with pickled fish broth) and pho (noodles).